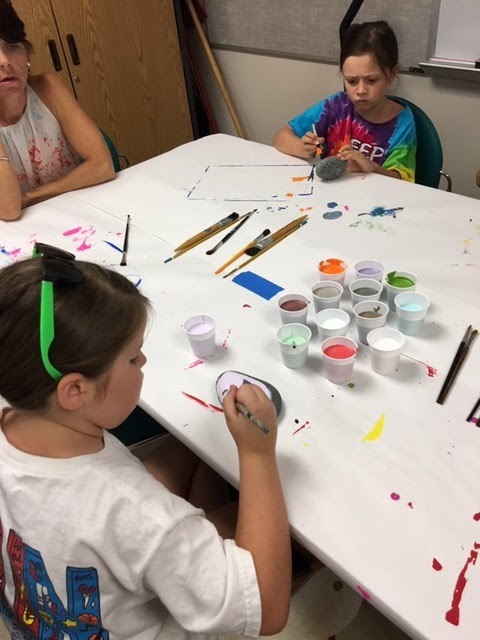 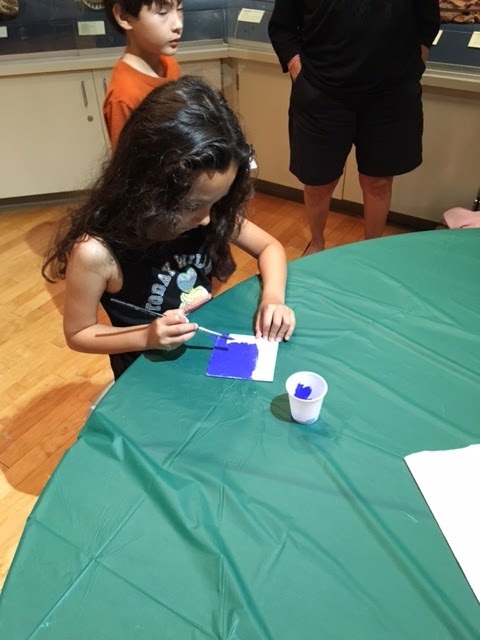 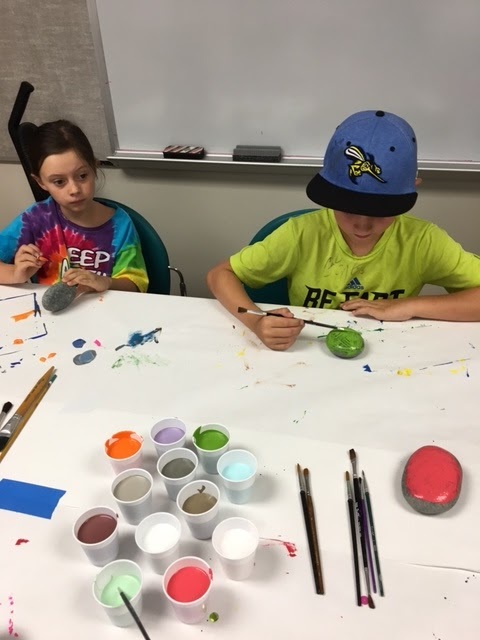 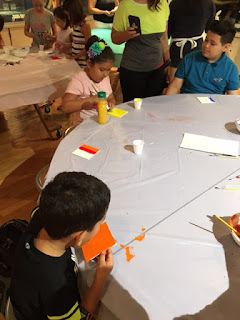 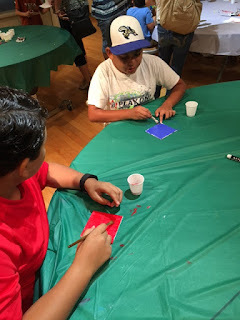 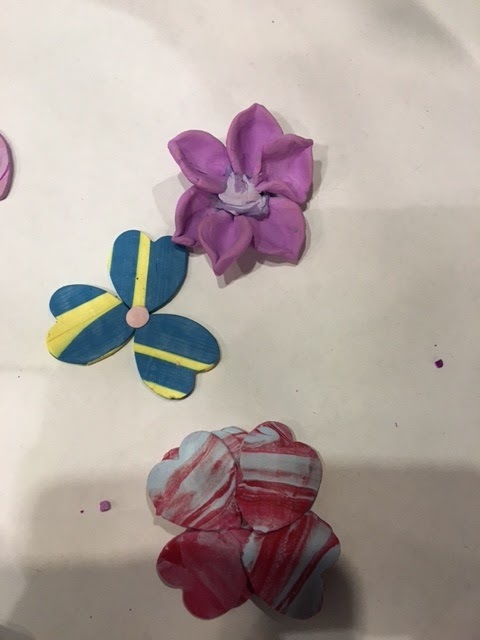 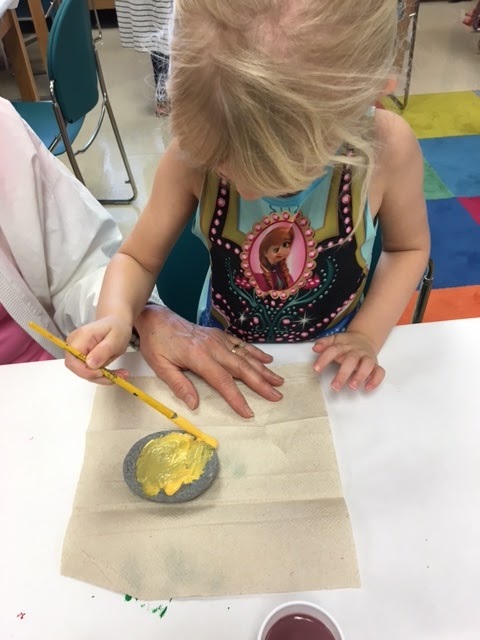 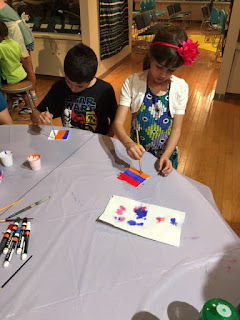 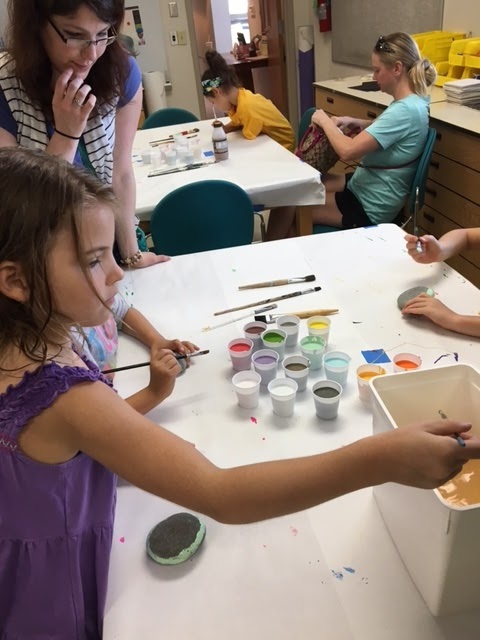 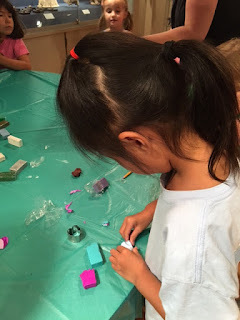 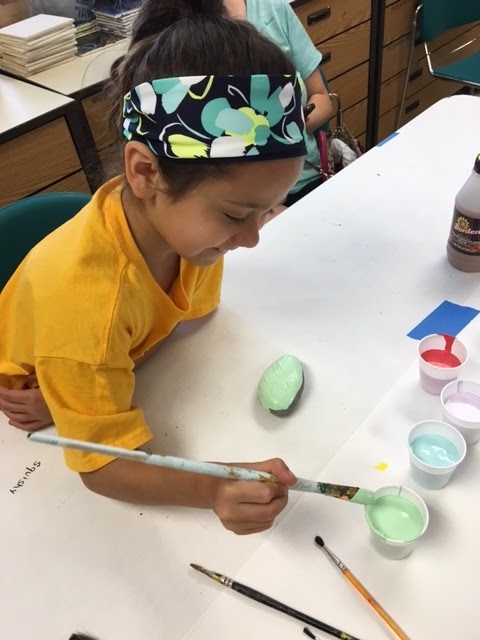 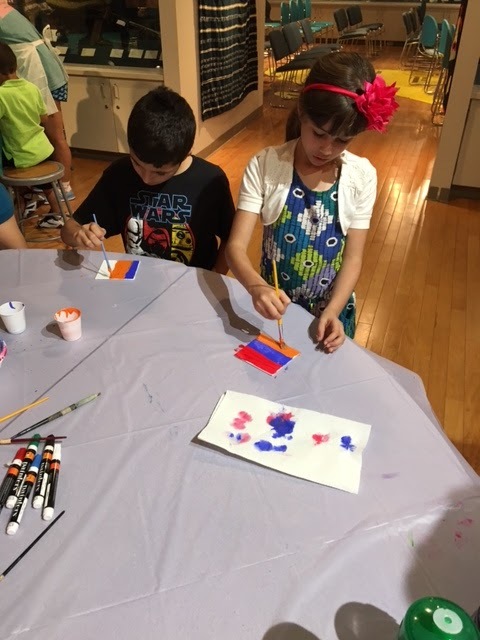 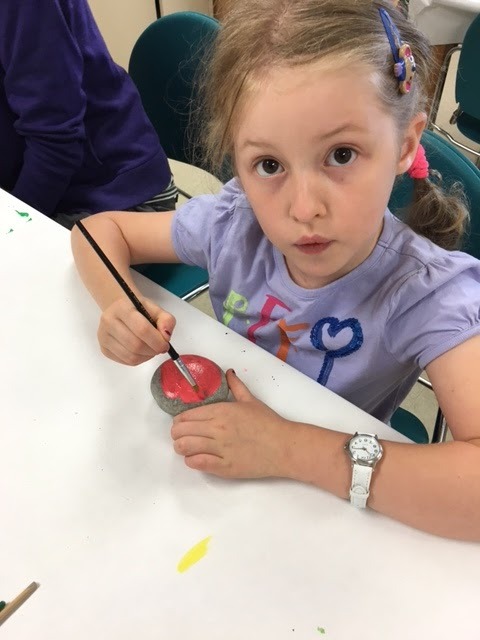 Today was Day 3 of our summer art program. 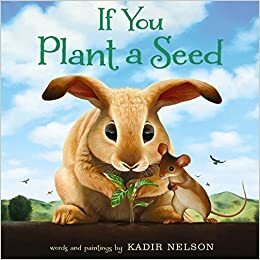 Our book was If You Plant a Seed by Kadir Nelson. 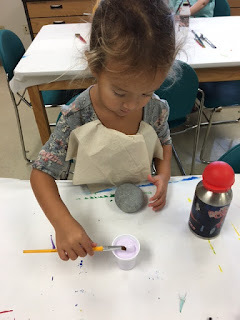 I originally chose the book because I fell in love with the illustrations. 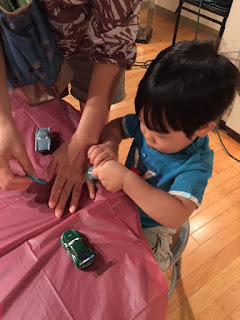 However, once I read the book, I realized that it had a wonderful message of kindness. We were lucky to have a paint store donate a multitude of pint cans of house paint in beautiful colors. 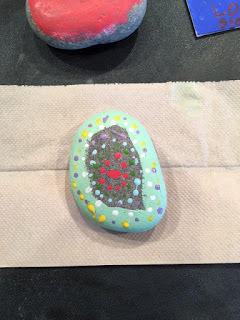 So instead of using acrylic (which was the original plan), we painted our rocks with the more permanent house paint. 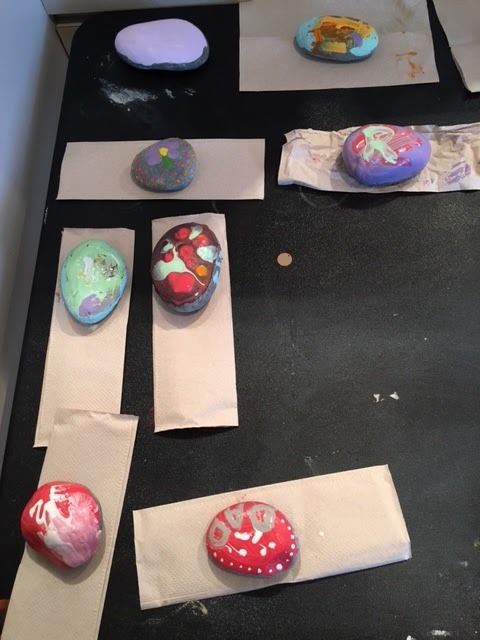 Each student was given 1 fairly large river rock. 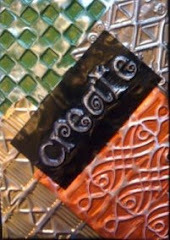 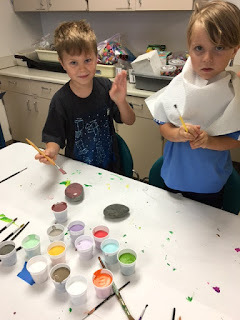 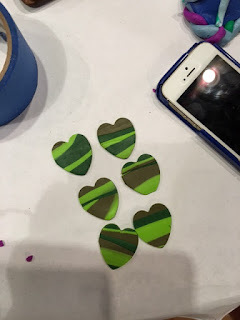 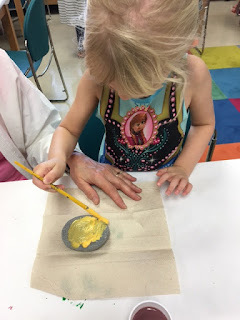 They chose their colors, brushes and design and painted their rocks. 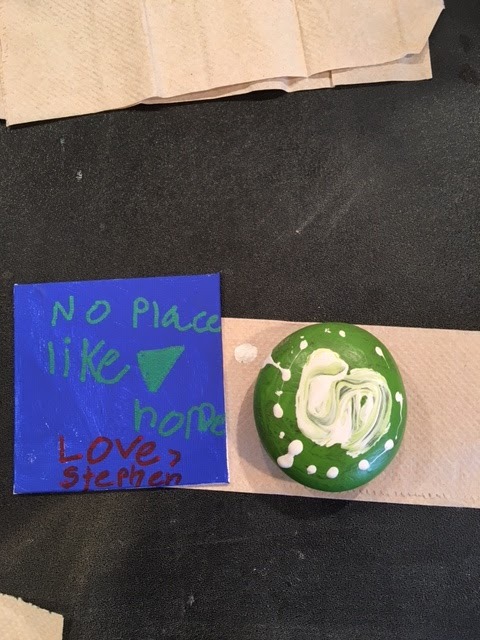 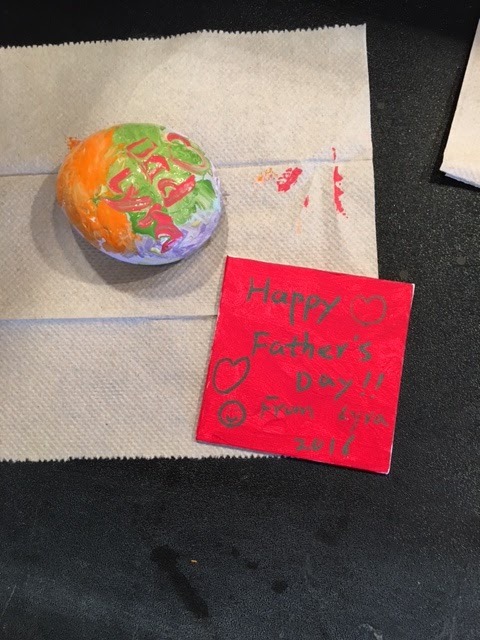 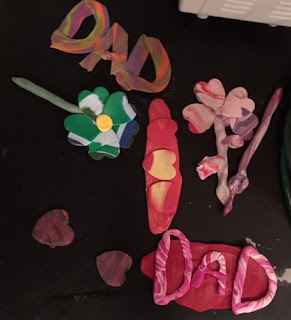 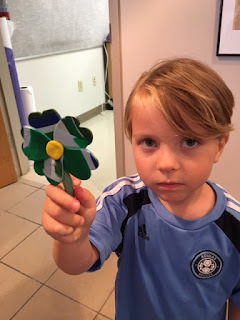 Since Sunday is Father's Day, many of the children chose to make gifts for dad. 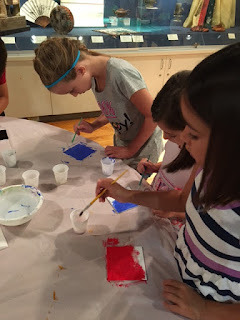 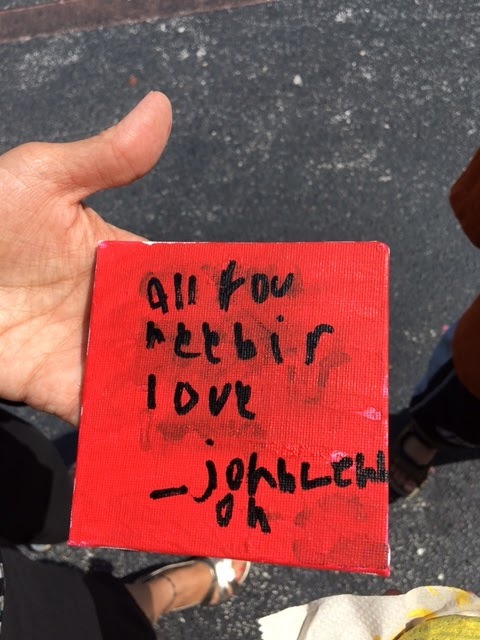 The students painted a 4x4 mini canvas with acrylic paint. 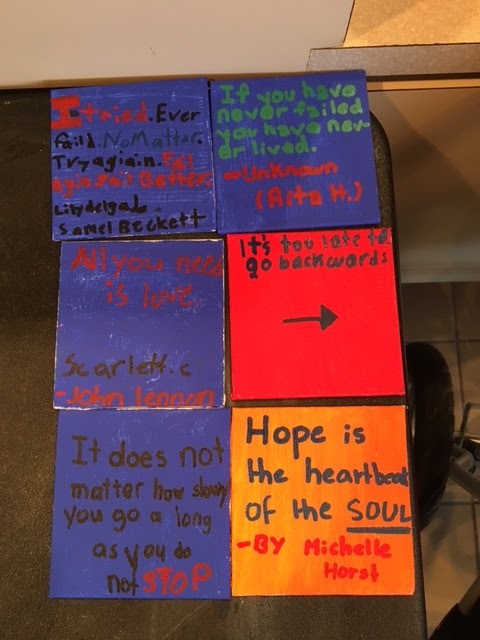 Then they used paint pens to write an inspirational quote or message. 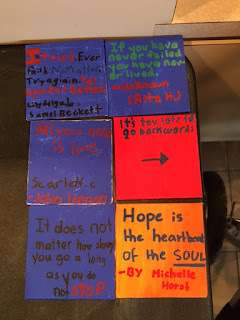 I had printed out a variety of quotes for them to use and many came up with their own. 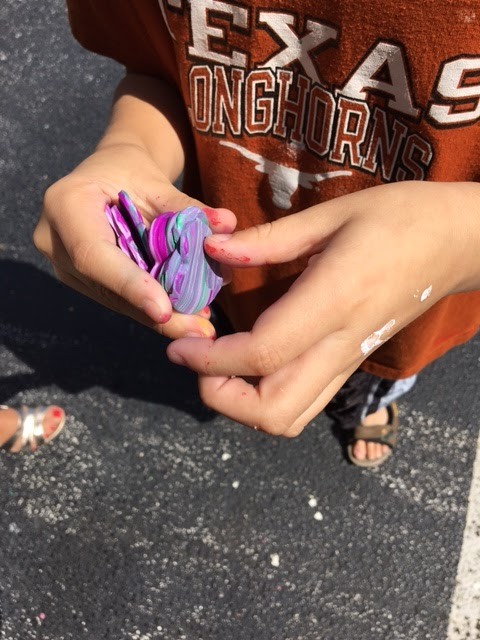 This was a huge hit! 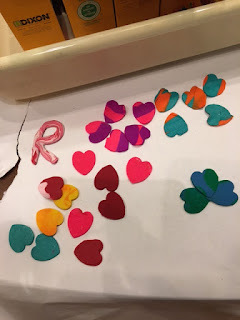 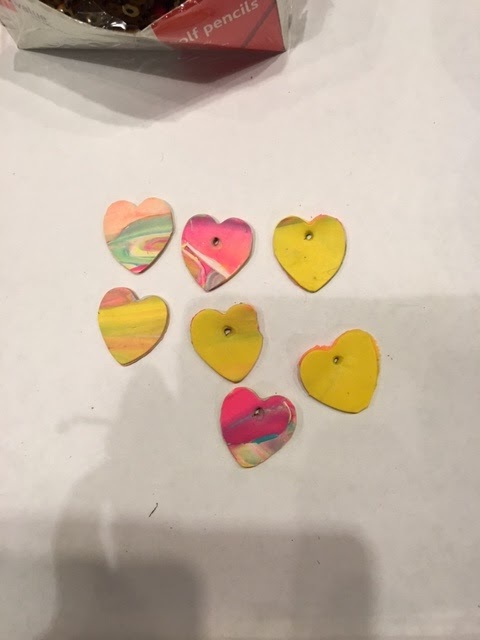 The children used Sculpey polymer clay pasta rollers to make mini hearts to share. 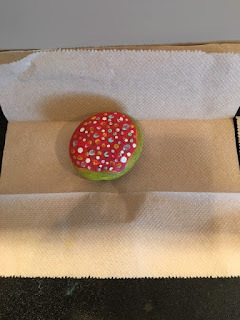 They were then put into toaster ovens to bake.